1.1 How To Get KFC Chicken Zinger Combo Worth Rs.179? 1.2 How To Redeem This Voucher? Free Bike Taxi Ride With Rapido Bike Taxi services. 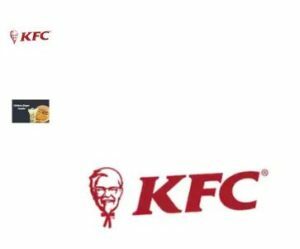 How To Get KFC Chicken Zinger Combo Worth Rs.179? 3)Select The Promo code – KFC025 On Offer Page to Get instant Rs.79 + 1 Movie Vouchers Worth Rs.100. 4)Valid at listed KFC Hut outlets. 5) Enjoy Your chicken zinger combo. How To Redeem This Voucher? 1) Visit any listed KFC outlet to redeem the offer. 2) Open the voucher from the ‘My Orders’ section of the app or via mail (registered email id). 3) Share the code you have received from Paytm with the cashier at the time of payment. 2. Valid for all the users. 3. Vouchers will be sent only if the code is applied successfully. 4. Apply the movie voucher at Paytm while booking movie to receive the cashback. 5. Movie voucher will be valid on booking of minimum two tickets only. 6. Movie Voucher is valid for 10 days.